Professor Brian Hudson is Professor of Education and until recently served as Head of the School of Education and Social Work at the University of Sussex (2012-16). He is Honorary Professor at the University of Dundee and Adjunct Professor in the Department of Education Studies and Leadership at the University of Ghana. 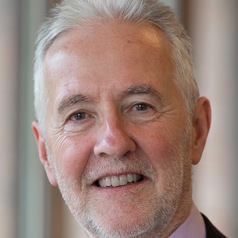 He has served as the representative of the Scottish Education Research Association (SERA) on the World Education Research Association (WERA) Council, the Main Organiser of the WERA International Research Network on Didactics - Learning and Teaching and is a member of the WERA Outreach Committee. He is also Honorary Member of the Network on Didactics - Learning and Teaching of the European Education Research Association (EERA).